About Sammet Pools , Pool Designers in South Florida | Sammet Pools, Inc.
Sammet Pools, Inc. is a family owned and operated company that has been in the pool construction business since 1993. 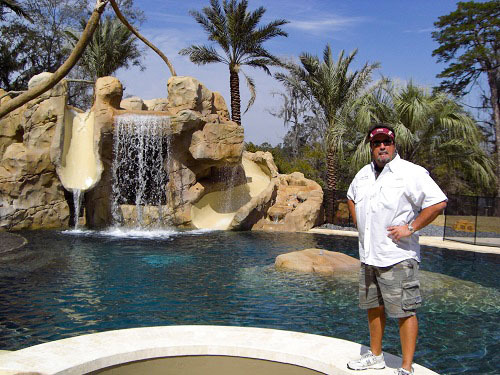 The President of Sammet Pools, Inc, John Sammet, has been designing and constructing pools since 1987. John Sammet has built many pools over the years and recognizes that in order to offer the best quality pools, you need to keep up with the latest construction practices, proven technologies and quality building materials. Let Sammet Pools, Inc. build your next family vacation in your own backyard!!! Sammet Pools, Inc. can build a complete turnkey environmental landscape for you. Contact us to see how we can help you with your swimming pool project.